Customizing the name of your client gallery. 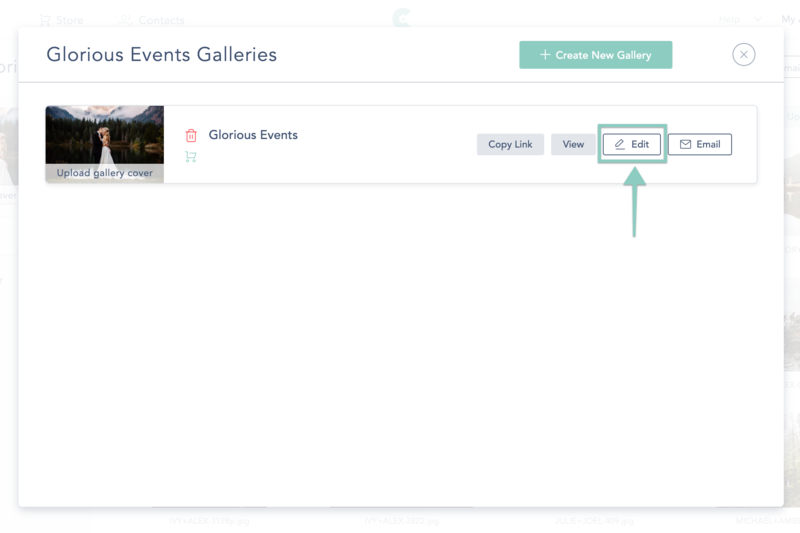 You have the ability to customize the name shown on the cover of your online gallery. This name can be changed at any time and can be independent of the custom gallery url. QUICK TIP: If you want to keep text off of your cover photo, you can leave this name blank! Open the Collection you want to work on and then click on "Galleries". Next to the gallery you're working on, click "Edit". Navigate to the "General" tab, and you can enter in your Gallery Name there. This is where it will appear in your online gallery. 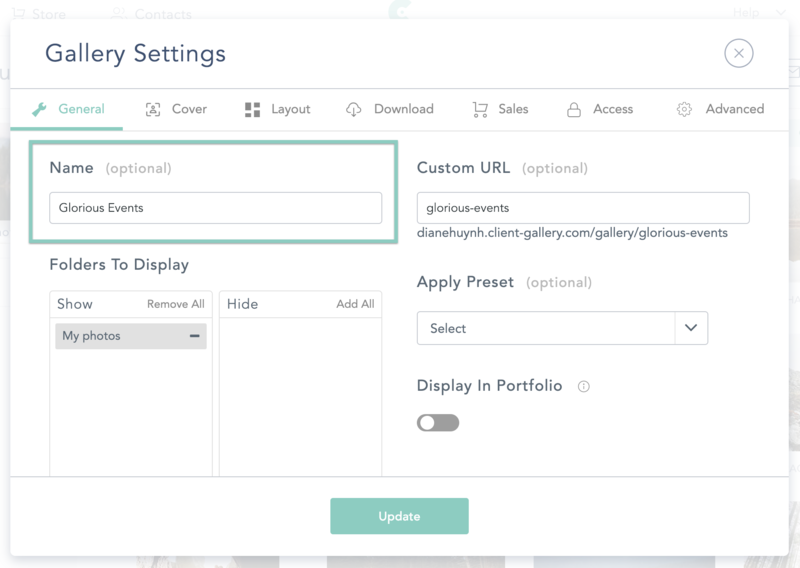 To edit the name of an existing gallery, edit the settings and click "Update" for the new name to be applied.